Welcome to our blog! 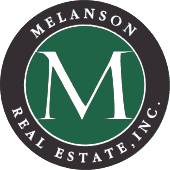 Here you will find information regarding our current listings as well as market, local and Lakes Region information and events! Come back often to see what's new and leave us a comment if there's something you'd like to see! Fisherville Brew & Chew Returns to Downtown! On March 4th, from noon to 3pm, the seasonal, bob house village Fisherville will once again return to downtown for the 2nd Annual Brew and Chew Event. Dating back to 1888 the community once even had it's own mayor but sadly was dormant for several years. Thankfully the community has seen new life through this fantastic event that will hopefully continue to grow for years to come. Though ice conditions are once again less than favorable, the houses will be set up in the town docks parking lot and the event will offer plenty of food, drinks, activities, shopping options and most importantly fun, all while supporting local businesses. Head on down this weekend and see all of the great bob house designs while enjoying chili, chowder, local brews and more! 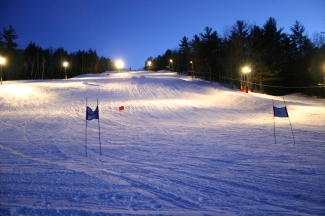 Now that the storm is over it's time to have some fun at Abenaki Ski Area in Wolfeboro! Wolfeboro is more that just a summer resort offering many fun winter activities as well. Abenaki Ski Area has been a fixture of Wolfeboro since 1936 with construction of a brand new Lodge completed in 2015. Offering 7 downhill trails from green to black diamond as well as glade & night skiing and an all-terrain park. The rope tow is one of the fastest on the East Coast and the environment is fun and family friendly not to mention affordable with ticket prices at $5 for residents and $17 for those visiting from other areas near and far. If you haven't checked out this fantastic facility, don't miss out! Head on over for a day of fun in the snow and some hot chocolate at the end. Click here to learn more. Welcome to our new website, optimized for mobile devices and designed to provide you with an informative and user friendly experience. Register with us to receive information about new listings that meet your needs. Call, email or stop in today to meet with one of our experts and experience the care and personal service of one of the oldest and most respected firms in town. We're here to make your dreams of finding the perfect property or selling your current property come true! Thanks for stopping by!